Get the answers you seek and help finding a program that is a good fit for you. First, get to a First Steps meeting. These meetings are held at noon and 4:00 p.m. daily during the school year in 444 Snell Hall. You’ll meet a returned student and get the basics on the different kinds of programs and how to apply. Which programs are recommended by my college or major? Do I have goals of learning a language abroad? What are some of the features of the programs I’m considering? Schedule a meeting with an adviser. Call the IDEA front desk at 541-737-3006 to make an appointment. Be prepared for your advising meeting. Take a look at your degree plan. What do you have left in the major, minor, or bacc core? Do you have a sense of when you are planning to graduate? Think about your financial situation. Your adviser can give you a sense about how aid is disbursed for different programs or scholarships that may be available. It will also help focus your search if you do need to find a program with lots of scholarship money or have a certain cost range in mind. Express your goals. What do you want to accomplish academically, culturally, and personally with this experience? The “why” may help your adviser in identifying programs that will meet your expectations and needs. Be open. Your goals may lead your adviser to suggest programs you may not have otherwise considered. This is a chance for you to explore new possibilities and think critically about where best to achieve your goals abroad. Ask questions. About housing, classes, culture, excursions, program fees, and community engagement opportunities. Be ready to do some research on your own. Your adviser may send you to the internet to look at a course catalog or links to a program website. Put the time in after the meeting to get what you need. Understand how to apply. All programs have a handy application checklist. Make sure you know the deadlines for your program, and any additional steps you need to take. Have a follow-up meeting with your academic adviser. Take program materials and course information for the programs you’re considering into your academic advising office. Ask your academic adviser about how you can best meet graduation requirements on the programs you’re considering. Keep searching. It’s just fine to meet with a variety of advisers and program coordinators to find the fit that is right for you. It’s an important decision, so take the time you need to make it. Curtis Barnard bade Oregon goodbye for a semester at Aoyama Gakuin University. His first episode in his video log included this helpful time-lapse packing video…check it out! Curtis Barnard is a student in Mechanical Engineering. Posted in College of Engineering. Richmond Barbour is a professor of English at OSU who will be the visiting faculty member on the AHA Athens study abroad program. Be sure to come to the information session on October 29 at 4:00 p.m. in Snell 444 to learn more. The Spring 2010 term abroad in Athens will be March 23 – June 19, 2010. Transition into life in Athens and gain better access to Greek culture through practical language and conversation skill development offered at Beginner and Intermediate levels. Advanced-level Greek can be arranged through the Athens Centre’s comprehensive Greek language program for students with previous Greek language study, contact AHA for additional information. Take full advantage of the rich archaeological heritage of Greece through guided study excursions and on-site lectures. Explore the history and culture of Greece from the Minoan civilizations of Crete and Santorini to the Hellenistic period and the conquests of Alexander the Great. Examine both the academic and experiential nature of crosscultural communications. 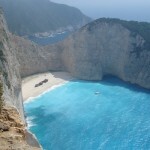 Analyze and process your personal intercultural experience in Greece. Examine modern Greece from the beginning of the War of Independence through the creation of the new state and the present day. Analyze the position of Greece in the Balkan peninsula in relation to neighboring states through the ties of religion and a common Ottoman history. Develop a strong and disciplined sense of observation by keeping a sketchbook/journal as a record of observations and impressions of Greece throughout the semester. Become familiar with contemporary Greek art through visits to galleries and museums. Experience Greece as a destination of real and imagined voyaging. Explore narratives, images, and films about journeys from ancient myths to contemporary cinema. Write your own travel journal and document your personal visions of Greece. Discover the cults of the physician-god Asclepius, his father Apollo, the god of poetry whose invisible arrows could deliver plague or cure, and Artemis, the goddess of fertility and childbirth. Visit several ancient theaters and healing centers and participate in an on-site production of a play. Tor Benson went to Iceland for the alternative energy and fish biology and stayed for the sheep’s head. 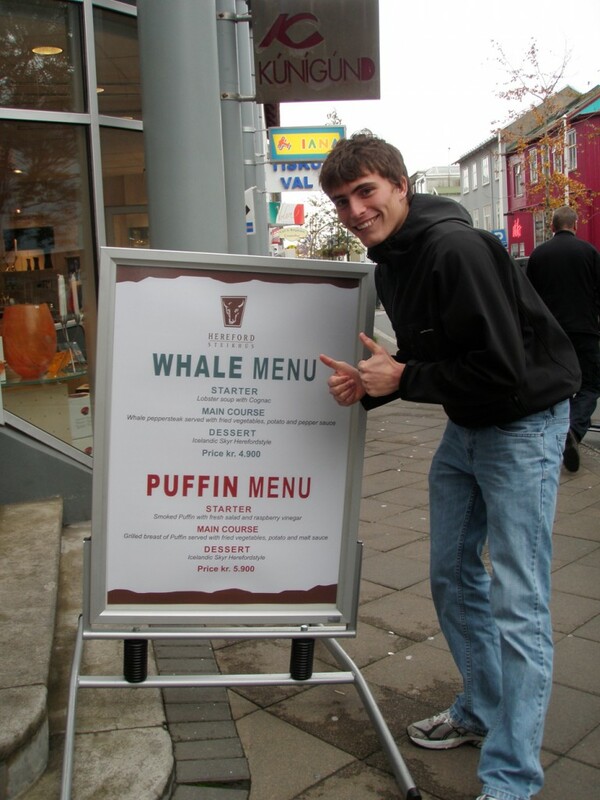 Our correspondent in Reykjavik takes the gastronomic plunge. Tor Benson gives an enthusastic review of Iceland's cuisine. I arrived in Iceland’s international airport of Keflavik on the last Friday morning in August after a seven-hour flight, a difference of seven hours from the west coast of the United States. I was picked up from the airport by my Icelandic friend, Arnar, who had been a student at my high school in Washington State for a year. We had kept in touch so when I told him I was coming to Iceland he insisted I stay at his house with his parents whenever I wanted. My first impression of Iceland was about their excellent hospitality and simple but very comfortable, clean homes, a sharp contrast to the smell when you take a shower for the first time. Stepping into my first hot Icelandic shower, I was struck by the distinct smell of rotten eggs. Around 90% of Iceland’s energy comes from renewable forms of energy, used to heat water and homes, and for cooking. The rotten egg smell is due to the sulfur that is present in the volcanic landscape of Iceland, although Iceland has some of the purest water in the world. My experience with boiling water for cooking was a similar one – I started out using hot water to speed the boiling, until I realized that cold water did not contain the sulfur. Even after a lifetime of living in Iceland, Icelanders still cook with cool water because the taste of sulfur is very distinct, even to them. When Arnar’s parents came to the U.S. they brought a dish known as Hákarl, shark that has been buried and allowed to ferment for several months. 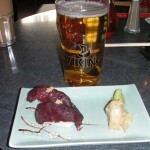 Although it is a traditional Icelandic dish, most Icelanders do not care for it, and I agree with them. Even my Icelandic friend, Arnar, had tried it once before and was not going to try it with us. It has a similar consistency to pickled herring, although it is cut in into half- inch white cubes that resemble tofu in both appearance and texture. My first weekend in Iceland included a number of customary dishes although all of them were much more enjoyable than the shark. I was asked if I had ever had lamb and I replied with a “ Ja,” but was informed that I had never tried barbequed Icelandic lamb. Icelandic lamb has a distinct gamey flavor due to its free range summertime lifestyle. Arnar’s family then went to a monthly get-together with friends where I was offered marinated and barbequed reindeer, the most expensive and tender meat that can be purchased in Iceland. There are reindeer in the eastern part of Iceland but the population is tightly managed. Reindeer looks very much like beef, but it is much more tender than most other wild animal meat, such as deer or elk. I think the dish that will surprise people the most is the cutest bird of the north. Although I was unable to see the birds before they flew south, I was able to taste Puffin at a family meal. The Puffin’s diet consists of needlefish and it tastes much like the fish-eating duck of the United States, although smaller. Puffin is usually served with a sauce that was a little too sweet for me, in comparison to the rich flavor of the meat. During my second weekend in Europe, I received an invitation to go Arnar’s family summerhouse for the weekend, about an hour out of Reykjavik. It is very common for an Icelandic family to have a “summer” house where they go to relax after a busy workweek. This is well deserved as Icelanders work an average of 46 hours a week, one of the longest in Europe. We left around 3 p.m. and hit what they considered to be traffic, which consisted of bumper-to-bumper cars for one mile, with only a delay of about ten minutes. As soon as we arrived, the preparation of dinner began, which is what Icelandic society seems to operate around- the next meal. Icelanders eat very well, with a typical dinner consisting of chicken, baked potatoes, and a salad or homemade pizza. Breakfast is usually bagels or some form of bread with flavored cream cheese such as bell pepper cream cheese, and sometimes cereal. On weekends, Arnar’s family commonly gets together on Sunday to share a European style breakfast of bread, meat, and cheese. I have spent between one and three days each week with Arnar’s family since I have been in Iceland. This has allowed me to get a diverse feel for both workdays and weekends, and the food that accompanies. I do, however, feel like I should try to give back to them for everything they have provided me, so I made what Icelanders are always thinking about, the next meal. I had a good recipe for sloppy joes, but it has onions in it, which Arnar’s brother and sister do not care for, and his mother does not like the idea of ground beef. Arnar’s siblings were more willing to try it. I mixed the beef, bell pepper, tomato paste, onion, and beans, and let it simmer a while, and they ended up enjoying it. Even his mother had a taste. Almost every food item is labeled entirely in Icelandic, even the Cheerios and bagels, which is amazing for a population of only 300,000 people, although this does limit their food choices. I have also tried to experience things on my own, and was able to do just that in a sushi restaurant on Laugavegar, the main street of Reykjavik. One of the many ways that Iceland distinguishes itself is its continuation of whaling of about 150 of both Fin and Minke whales from the Icelandic coastline each year. Iceland contends that the number it is harvesting is sustainable and that it has a right to continue because of its heritage, although this all could change with Iceland’s application and possible inclusion in the European Union. Far from the controversy in a kaffi hus ( coffee house) and sushi bar, were three American who had randomly run into each other while on a walk in the most northern capital of the world. We all ordered a new dish, mine consisting of two rolls of Minke Whale sushi. Its appearance was not distinguishable from a beefsteak, although it was slightly more tender than any steak I have ever had. It did not have any fat on it like you would typically think when eating whale. It was reasonably priced, running around 700 kroner, about six American dollars. My Icelandic family is also planning on cooking Icelandic lobster, which are smaller than Maine Lobster but has a higher fat content due to its northerly location making it “much more succulent” according to Arnar’s uncle. There is, of course, the very Icelandic dish of sheep’s head, which I have yet to taste. This includes eating the facial muscles of the sheep, which Arnar’s grandma particularly enjoys. Many of these dishes are not commonly eaten in Iceland, although they have a very strong desire to hold onto traditions, including the old ways of preparing food, but this is mostly a once a year event during Thorrablot, a feast in January. Icelandic winters are long and dark with only about four hours of daylight in the winter which continues to make socializing and food a major part of Iceland’s culture. 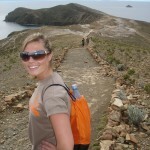 OSU students can study in Iceland on the Civilization and Sustainability program in summer, 2010. Posted in Iceland, study abroad, Uncategorized. The walk from the bus stop on London Street down Abbey Hill toward Parliament only takes 15 minutes but heads up! Be alert for doggy piles, cigarette butts, pigeon poop, the occasional puddle of vomit and a twist of razor wire – we are in the city, you know! Scan the skies for pigeons and tar drippings when walking under the train trestle in this seedy pocket of neighborhood, but then…..THEN (cue harps and angels) emerging from this darkness ~ BEHOLD! Holyrood Palace on your left and behind is the glorious Arthur’s Seat (a small mountain made by volcanic rock) looming over her with Parliament only one block further. The perfect trifecta! 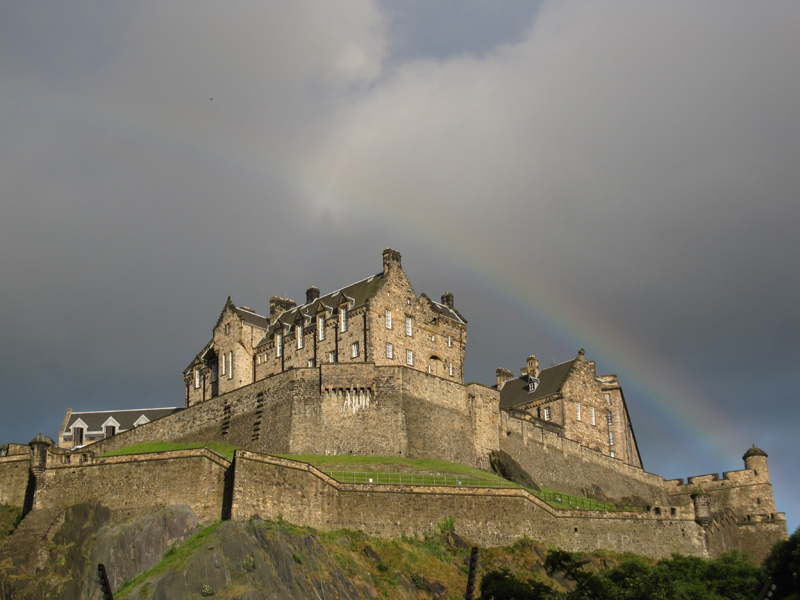 You now find yourself at the base of the Royal Mile, the famous street that leads uphill from Parliament to Edinburgh Castle at the top. You’ll find shops and pubs and medieval historical and ghost tours right here on the main vein of the city. The people watching is endless ~ if you want history and excitement, you could spend a full week on this street. It’s time to enter Parliament and start work. The nautical images with bamboo, glass, and steel make a person wonder at the architectural elements. Sadly, the designer passed away before his work was complete which leaves much of the building’s ambiance a puzzle and open to interpretation. Guides say the use of glass gives a person the idea that the government employees are easily accessible to the public. First step while inside: show Security official badge strung around my neck. This maneuver makes me feel important and very official. Security guards are dressed in purple shirts and ties ~ the hue represents the color of Scotland’s native flower, the thistle. Next step: beeline to café for morning dose of mocha from friendliest barista who calls me “luv”. When you’re new to a country and culture, even the smallest kind gestures mean a lot. Now, gather the hot drink and go through the first of many heavily secured doors to get to desired tower. Note to self: place official pass in front of small box to right of door and wait for beep. There’s a tricky dance involved that requires timing and patience when using your pass. Make sure not to hold it in front of fire security box or any of the other three boxes that look suspiciously identical or you will be waiting for the door to unlock, and it just won’t happen. I did this once with a group of six people behind me. Luckily a Scottish friend corrected me, laughed softly at my ignorance and I proceeded to turn beet red. Once up safely on the fourth floor, I round the corner to my desk with its phone, computer, file cabinets….a certified office nook! 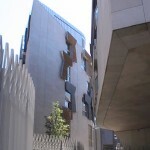 I am an official Intern to a Member of Scottish Parliament (MSP) and couldn’t feel prouder. The days are filled with activity. One day I may be drafting letters to politicians from other countries, or doing research and compiling information about the MSP’s Cross-Party Groups. I was fortunate to get to learn everything I could about Visual Impairment issues in Scotland, the Housing Crises, Knife Crimes, and Funerals and Bereavement. Here’s an interesting bit of information about the latter: in order to create a smaller carbon footprint, it’s becoming possible to freeze a dead body, shatter it, then grind it into a powder to be kept in a special place or scattered into the wind. It is an eco-friendly method that prevents trees from being cut down for coffins and prevents smoke from polluting the air from cremation. This is only ONE of the many exciting things I learned during the internship. In the evening I often join a small group of MSP’s and their Assistants or other random Parliamentary staff for drinks up the Royal Mile at the Toll Booth Tavern. This is a wonderful authentic old pub built in 1591 and originally used as a place to collect taxes and as a jail. In 1820 it became a tavern and I must say, has delicious french-fries! Of course I was corrected, they are called “chips”, and American “potato chips” are “crisps”. By 9PM I am getting sleepy and I still have to walk 15 minutes to the nearest bus stop and take the 30 minute ride back to my sea-side apartment in Portobello. As I ride the bus at night, I reflect on the day and think about what tomorrow will bring. An elderly man gets on the bus and stands in front of me holding the railing. I touch him on the arm and ask, “Would you like my seat?” and as I start to stand up, he replies, “No thank you, luv. I’m not as old as I look.” And we both have a giggle. Upon completing her IE3 internship, Margaret O’Neill returned to Scotland to look for full-time employment. She is now a Parliamentary Assistant to Mr. Alastair Morgan MSP in his constituency office in Dalbeattie, Scotland. Posted in IE3 Global Internships, Uncategorized. Photo courtesy of Ashley Payne. 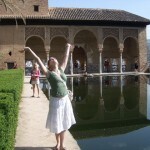 I’m Ashley Payne, the International Programs Student Advisor for the College of Engineering. It’s my job to help all the Engineers at Oregon State hear about how they can go abroad! In my life as a student I am a fifth year senior in Civil Engineering, and I am living proof that if you are an engineering major you CAN study abroad! During my sophomore year I studied for the full academic year at the University of Sussex in Brighton, England (almost directly south of London on the English Channel). While I was there I continued to study civil engineering, completing many of my prerequisites for my professional program like statics, dynamics and my physics series. 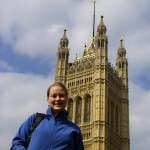 I absolutely loved studying abroad, so when I arrived back it seemed natural for me to help other Beavers to go abroad! The most popular programs available to students in the College of Engineering are Danish Technical University, and University of Nottingham. 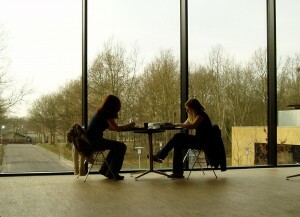 Danish Technical University (DTU) is located just outside of Copenhagen in Lyngby. Despite being in Denmark the primary language of instruction is English. The modern architecture and research labs on campus may make you feel like you stepped into the future, but Copenhagen may have you feeling like you stepped into history. From winding cobbled streets to cutting edge modern architecture Copenhagen is a diverse mix of the old and the new. DTU is the premier technical university in Scandinavia with research in nearly every field of engineering. Anyone in the College of Engineering can attend DTU (yes, even you, nukes). University of Nottingham is located in Nottingham, England. Yes, as in Sherwood Forrest, Robin Hood and the Sherriff of Nottingham. While it may have taken Robin Hood days to get to London, it now only takes about two hours by train. 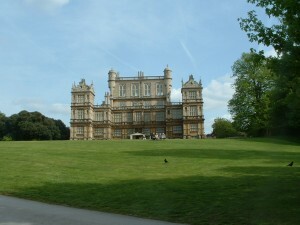 But if you feel like staying in Nottingham there is no shortage of things to do in this city of 270,000 people. From the best shopping outside of London, to world class sports facilities, and contemporary arts you are sure to find entertainment in Nottingham. Located on a park campus Nottingham University is one of the best engineering universities in the UK. The following engineering disciplines are available at Nottingham University: Biological, Chemical, Civil, Electrical and Computer, Environmental, Industrial, Manufacturing, Mechanical Engineering and Construction Engineering Management, Engineering Physics. Also, as of the 2009/2010 academic year any OSU student may participate in this program. There are many other programs available to engineering majors including the University of Cantabria in Santander, Spain, and the Tecnologico de Monterrey in Monterrey, Mexico, both of which are Spanish Language programs. There are also programs available in German and French. Employers have expressed to the College of Engineering that while OSU produces very competent engineers with strong communication skills we are often lacking in intercultural communication skills and international experience. Having that international experience is a great way to set yourself apart from other graduates when applying for a job or a graduate program. Whether you want to differentiate your resume or just live in another country, studying abroad is not only possible it is the experience of a lifetime! If you are an engineer interested in studying abroad contact Ashley at coe.study-abroad@oregonstate.edu. Posted in College of Engineering, International Degree, study abroad.